Hawaii is the only U.S. state that is not geographically located in North America, the only state completely surrounded by water and that is entirely an archipelago, and the only state in which coffee is cultivable. In addition to the eight main islands, the state has many smaller islands and islets. Because the islands of Hawaii are distant from other land habitats, life is thought to have arrived there by wind, waves and wings. This isolation, in combination with the diverse environment (including extreme altitudes, tropical climates, and arid shorelines), produced an array of endemic flora and fauna. Hawaii has more endangered species and has lost a higher percentage of its endemic species than any other U.S. state. 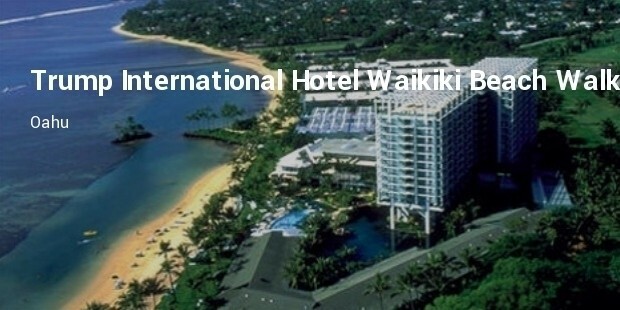 Tourism is an important part of the Hawaiian economy & is considered as one of luxury tourist destination in the world. 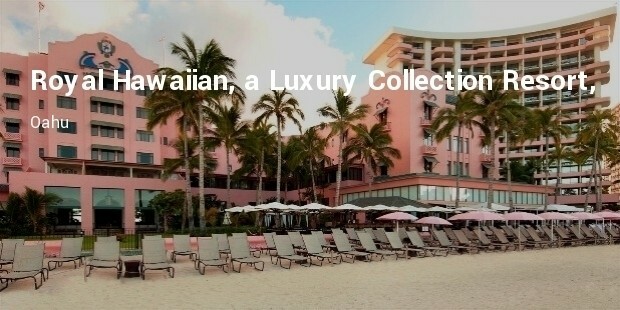 Let’s now have a look at the top most luxurious Hawaiian Resorts. 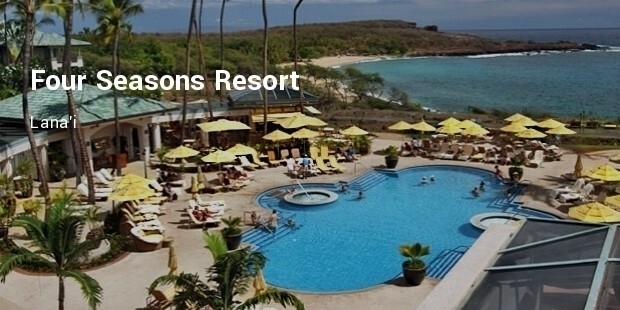 Situated above magnificent Hulop'e Beach, the Four Seasons Resort Lana'i at Manele Bay features exotic plants and wildlife, championship golf, archeological sites and award-winning restaurants. 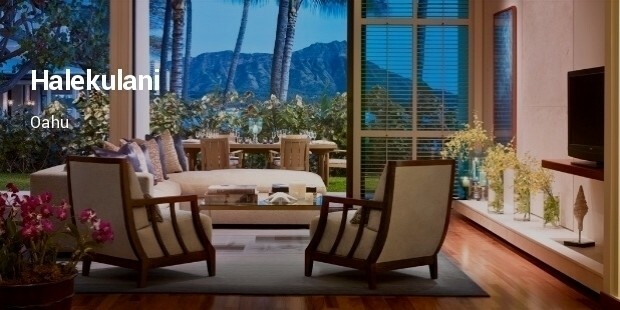 The exquisite guest rooms (featuring wicker or rattan furnishing, king or queen beds, and first-class amenities) all face either the manicured gardens or have waterfront views, and each room features a private lanai, or balcony. If the stress of travel has gotten under your skin, indulge in one of the resort's decadent spa treatments, like the hot-stone massage or the pineapple citrus body polish. 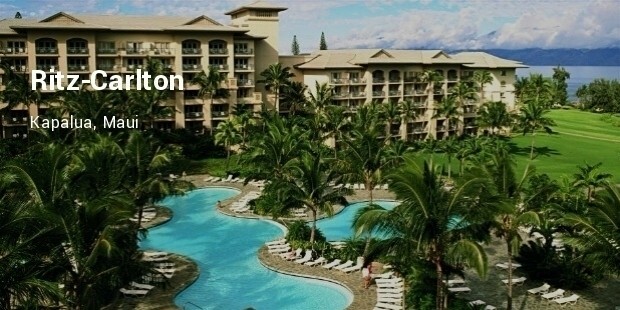 The fountains and greenery of the Halekulani resort provide an oasis away from the urban clamor of Waikiki. The guest rooms are the hotel's best feature, many with a fabulous ocean view. Other amenities include a glass-walled shower and separate soaking tub, top-of-the-line bath products, comfy robes and wireless Internet. 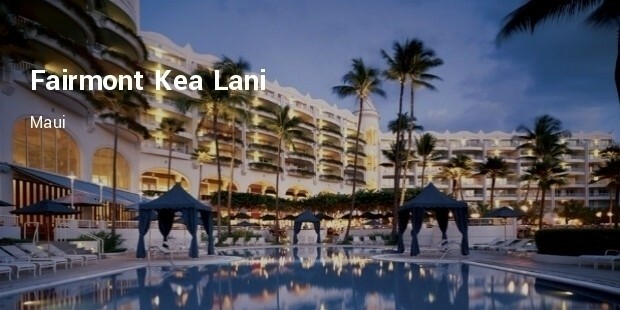 The Grand Wailea offers Hawaiian opulence at its best with something for everyone, from hard-to-please children to the most discerning traveler. The 2,000-foot multilevel canyon river pool has slides galore, waterfalls, a lazy river and the only "water elevator" around, and the more elegant hibiscus pool welcomes weary adults for an undisturbed poolside snooze. 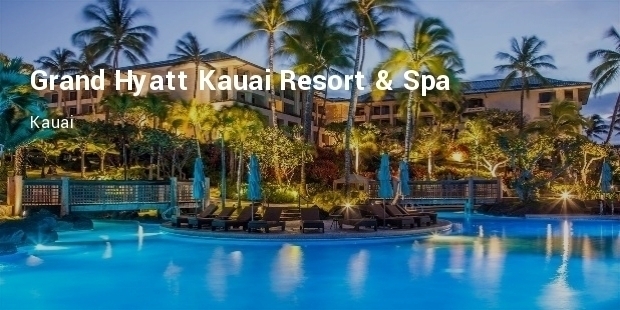 Kapalua's most exclusive resort sits in splendid isolation at the top of a cliff with commanding views of Molokai Island. 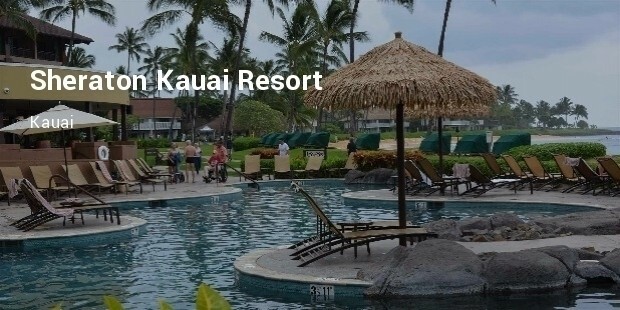 The resort is shaped like a horseshoe wrapped around manicured grounds and a tiered swimming pool connected by waterfalls. 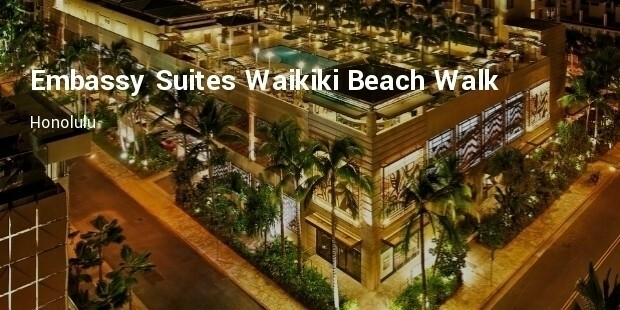 At these top resorts, one can experience the utmost in Hawaiian luxury with swanky rooms, decadent dining, awesome activities and stellar beach locations. 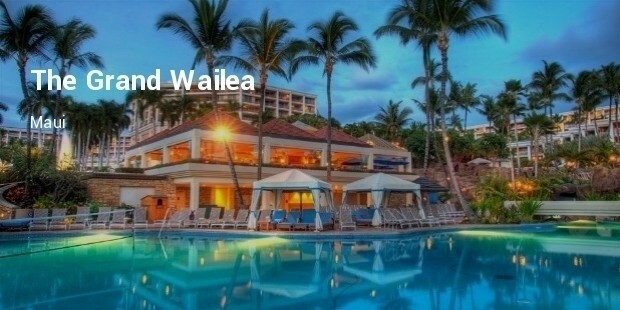 There’s a Hawaiian adventure for everyone, including private getaways that cater to lovebirds and sprawling resorts with pools and fun for the entire family.